Heil Hitler: Confessions of a Hitler Youth is a HBO documentary featuring archival footage and extensive interviews with former Hitler Youth member, Alfons Heck. 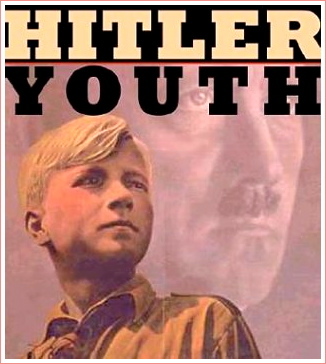 The 30 minute documentary includes references to the significance of peer pressure within Nazi youth movements, the impact of Propaganda and the working of the movement in general. Firstly, a thankyou to Geoff Thomas, a member of the History Teachers’ Discussion Forum, for pointing me in the direction of this documentary film. This is an excellent short documentary. In it, Alfons Heck recalls a range of his memories about his time in the Hitler Youth. Ranging from Eugenics to his vivid memories of watching films such as The Eternal Jew and a film modelled on the story of a real life Hitler Youth member. There are recollections of the training methods and of the role of the Hitler Youth in the latter stages of the war. This type of footage and interview is excellent for use, in parts, in the classroom. The lure and appeal of the Hitler Youth to boys in Nazi Germany are made quite clear; the ‘pull’ of Nazi ideology and the impact of various types of Propaganda are made clear and the glamour of the movement in the pre-war years is made highly understandable to the viewer. Selected clips from the documentary would make for very handy audio-visual prompts in a classroom. The entire documentary could be made available via a VLE for pupils to watch and reflect upon as homework, or provided as an alternative to reading in advance for more able or A Level students.